Banner Engineering India Pvt. Ltd. offers a series of Photoelectric Rotary Encoder, that can be used in a variety of harsh industrial environment. Photoelectric Rotary Encoder can effectively work when production parameters, such as location, length, speed and angle, etc. change. 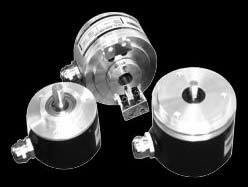 Photoelectric Rotary Encoders have a standard industrial enclosure, with a variety of outputs. For placing an order of Photoelectric Rotary Encoder, contact us now.